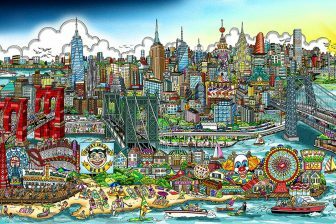 Famous 3D Pop Artist Charles Fazzino has been creating the official artwork for the MLB All-Star Game since 2003. 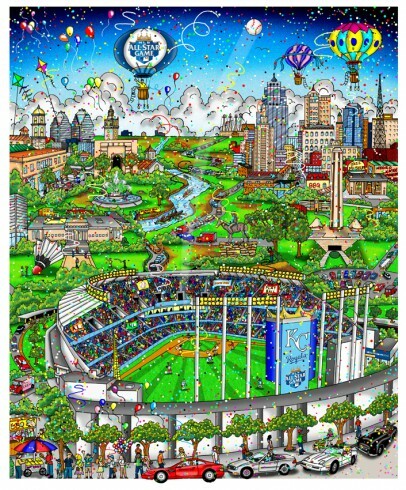 This year, Fazzino has again created a beautiful and vibrant commemorative artwork to celebrate this years All-Star Game, which will be played at Kauffman Stadium in Kansas City, home of the Royals on Tuesday, July 10, 2012. 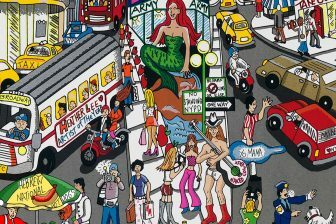 Fazzino will feature and exhibit this years official artwork, along with his entire baseball art collection during the MLB All-Star FanFest, from July 6-10 at The Kansas City Convention Center. The collection consists of limited and open edition baseball pop art prints and hand-painted original baseballs and helmet sculptures. 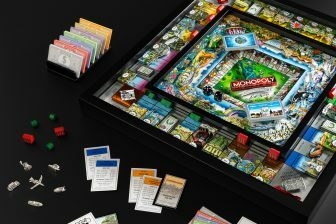 On June 14th, Fazzino will be in Kansas City for the official unveiling of his 2012 creatikon on the field prior to the Royals game with Milwaukee. He’ll also be joined pre-game by baseball Hall of Famer, George Brett for a poster signing at the Kansas City Royals Majestic Team Store at 5 p.m. Proceeds from the sale of the posters signed by Fazzino and Brett will be donated to Royals Charities. The official art unveiling will take place during pre-game at 6:45p.m. Make sure you visit Charles Fazzino’s Facebook Fan Page every other Friday for Friday All-Star Game trivia. We’re giving away 2 All-Star Game posters signed by Fazzino every other week between now and the All-Star Game.